How do you improve your writings? Do you wish you can write better and improve your writing skills? Yea me too. What do you suggest about improving technique/style? While I’m not any expert yet, here’s what I told him. Everyone has their own way of writings. For me, i read a lot. Like A LOT. I especially like Svbtle. 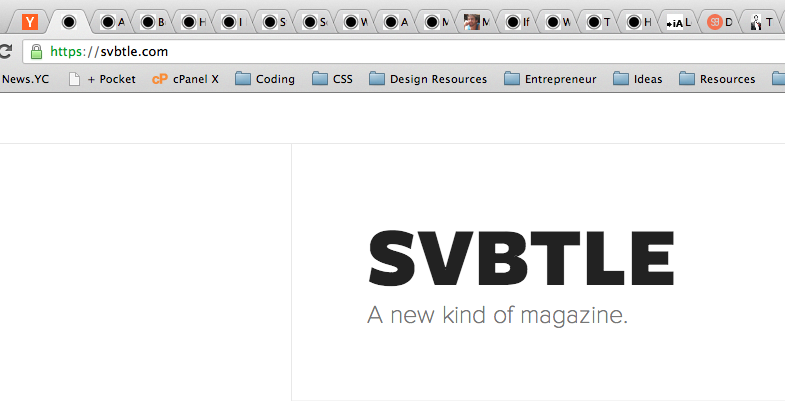 Svbtle is a community made up of hundreds of writers whose expertise spans many disciplines, from entrepreneurship, biology, and finance to anthropology, political science, and literature. Because the community is handpicked and thoughtfully curated, there are amazing content from thought leaders penning down their opinions there. It is a great way to discover new opinions, how people voice them out, how people pen down their thoughts, and how they write. Study and let your writing style develop on its own. I dont copy the writing styles of the various Svbtle authors, but I keep them at the back of my mind, and I let my style of writing develop on its own. At the end of the day, you have to develop your own style of writing. While i write professionally at e27, my personal blog has a clear distinction in terms of how I write versus my voice at e27. When I start blogging on Quora next week, I will develop another kind of writing style, a more detailed and data backed writing style. Start a blog. Write a lot. The next thing is to start your own personal blog. The more you write, the better you become. It’s like swimming. Of course, writing a lot also means, develop a consistent habit of writing, and that requires a lot of discipline. A lot of great potential authors never had the chance to realize how good they are simply because they never had to discipline to constantly write and constantly rediscover themselves. I’m glad you’re still writing on your personal blog! Thank you for the tips because they reassure what I’m doing – it’s a very long and arduous process for a less talented writer to improve my writing. Before I end off, I’d just like to recommend also reading Seth Godin’s blog regularly (he blogs daily) because he exemplifies writing clear and concise copies; that’s about it for writing! Hmm his is more of a “snippets of thoughts” style. I dont derive much value from his blog, though i read most of them. But that’s just my personal opinion.